Coconut has been lauded as a health elixir of sorts. Coconuts are highly nutritious and rich in fiber, vitamins C, E, B₁, B₃, B₅ and B₆ and minerals including iron, selenium, sodium, calcium, magnesium and phosphorous. Coconut oil contains lauric acid which helps raise beneficial HDL cholesterol. Lauric acid is also converted in the body into monolaurin, an antiviral and antibacterial that destroys a wide variety of disease-causing organisms. One cup of coconut water contains more than 10 percent of your daily dose of potassium and is an important treatment for acute diarrhea in the developing world. Put the rice, salt and 4 cups of thin coconut milk in a pot. Bring to a boil, reduce heat, and simmer very gently until the rice is done about 20 minutes. 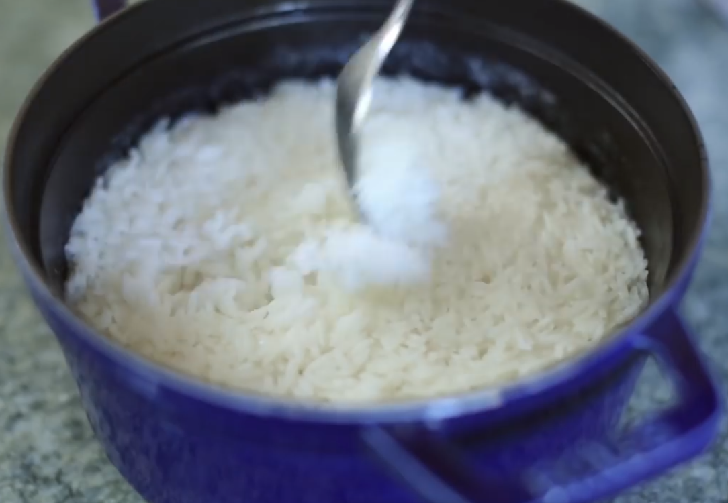 Observe the pot and add more thin coconut milk if the rice becomes dry before it is done. Just before serving, add thick coconut milk and stir. Serve with beef or chicken stew and vegetables of your choice.